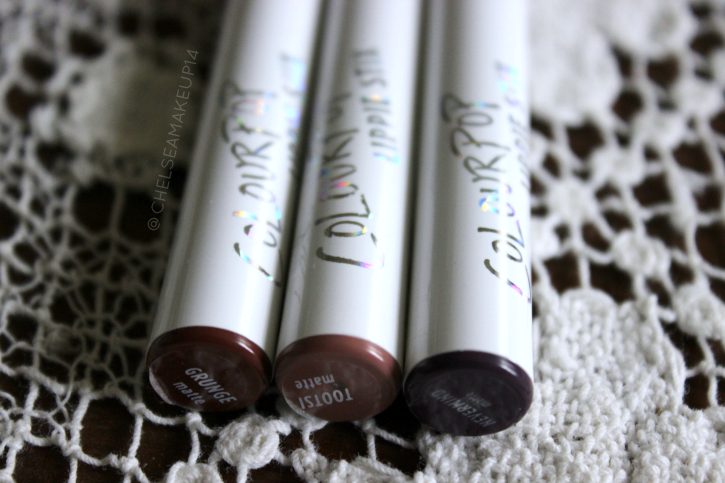 ColourPop Lippie Stix: Review & Swatches! | Chelsea B. Today I wanted to share with you guys a few of the ColourPop Lippie Stix. The three that I have are matte, but you can get the lippie stix in other finishes. I absolutely love these lippies and I'm so excited to share them with you guys! 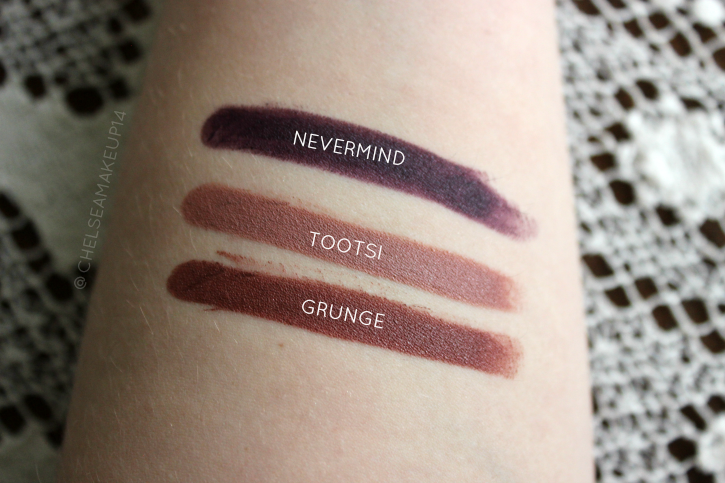 The shades that I have are Tootsi (grey beige or greige), Grunge (plum brown) , and Nevermind (blackened plum). These lipsticks are all VERY pigmented. They are a matte finish like I said, but what I like about them is that they're not dry. You know how some matte lipsticks can feel dry on your lips? These don't feel like that at all! I feel like the color lasts on my lips all day. They have amazing staying power! Each lippie stick also has a matching pencil. 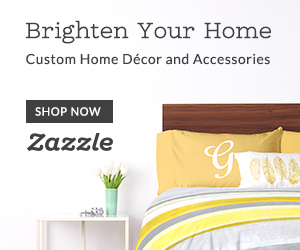 You have to buy it separately. I do have the matching lip pencils for these three colors. I think it's fun to switch up the pencils with different colored ColourPop lippies. You guys can get these on the ColourPop website for only $5! Have you guys tried any lip products from ColourPop? Let me know in the comments!